We have created the single greatest revenue generator for your golf outing or fundraiser and we do allthe work for you! 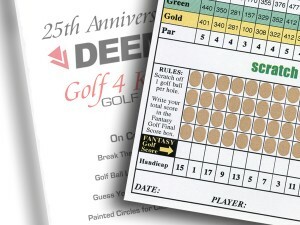 Our 18 Hole Scratch Card game looks and feels just like a regular golf scorecard but with 2 million different scoring possibilities. You can sell the reverse side to as many sponsors as you like. All you do is email us their logo’s or names and we will do all of the custom printing for your golf outing and mail them right to your doorstep in time for your big day. There is never an artwork or setup charge. During player registration, for added revenue, you sell the cards to your golfers for whatever you like (we recommend $20 per card) as the low score scratched off at the end of the day will win 3 days/2 nights for two people at the Monte Carlo Resort and Casino in beautiful LasVegas Nevada* right on the Strip. This is NOT a timeshare, but an actual vacation stay. Your full color winning Vegas certificate comes with your custom scratch cards for you to present to your lucky winner. In fact, we suggest that you also sell the vacation stay to a sponsor. We will gladly put that sponsor’s logo on the actual certificate. Their logo will be seen by the winner daily until they redeem their trip. 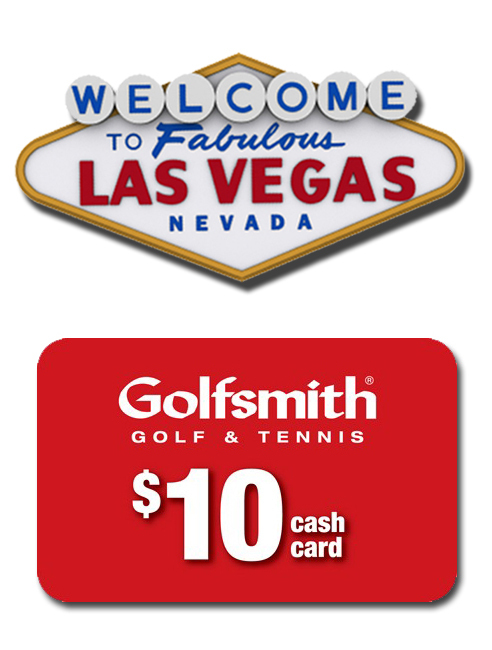 But wait, there’s more… As an added value benefit to you and your event, every single one of your custom or plain scratch cards comes to you with a $10 gift card from our good friends at Golfsmith! You can use these any way you like. Use as player gifts, scratch card purchase incentives, raffle prizes, outing prizes etc. etc. etc. How does this work? Who pays for the LV accommodation? How much is its value? Is the Golf Smith card guarrantteed? How much do you recomment selling the cards for?